What a difference it makes to have new clothes! 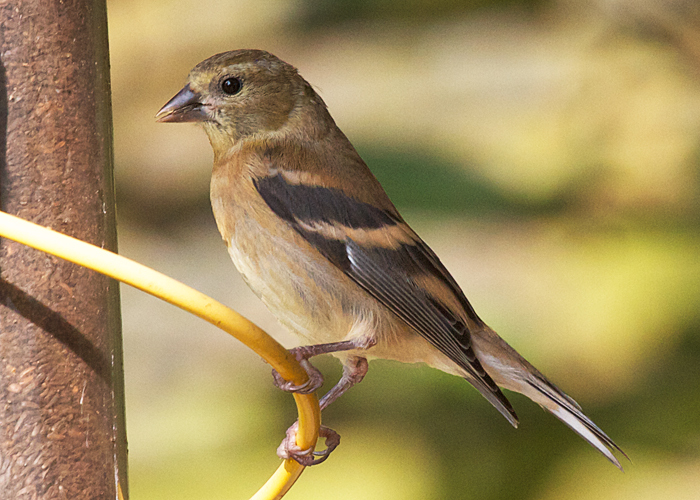 This young American goldfinch is in fresh new feathers, acquired after it fledged, this summer. Notice the nice, broad buffy wingbars on the dark wings. The wingbars are the tips of a row of feathers. 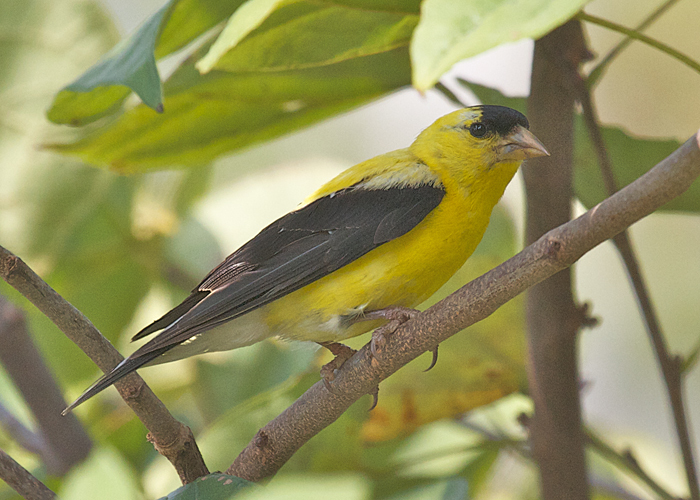 However adult goldfinches, like the male below, have hardly any wingbars at all right now. By the end of the summer, the feather tips have worn away to nothing, leaving a completely black wing. Soon the adult goldfinches will get a new coat of feathers for the winter. The new feathers on the body will be drab green instead of gold. But the black wings will once again have light wingbars. 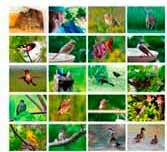 If your interest in birds is serious, you might want to get a better binocular (but one that is still economical). Like a Vortex Diamondback. These goldfinches are molting into summer plumage. They wear a patchwork of drab winter feathers and bright summer feathers.